When you are building your Home or remodelling the existing home, flooring is one of the key decisions which enhances the value of your home. While choosing the flooring, you should keep in mind the cost and maintenance aspects. Kitchen flooring requires lot of thought since the flooring at kitchen should withstand spillages and dampness. You have to choose the best yet should keep the cost affordable. It is a challenge unless you know the options available in the market. The one option that balances both quality as well as cost is the choice of Quality Budget Flooring. You have lot of types of flooring available providing you with wide choice of options. You can choose from stone and tiles to Wooden options with Laminate flooring, vinyl flooring and cork tile flooring. The range starts from budget kitchen flooring to high end expensive kitchen floorings. See what’s best for you. Stone and tile option – Stone and tiles are best suited for high traffic. The advantage of stone and tiles are its durability. Stones create natural look and feel and blends well with other areas of your home. You could choose from various textures and materials like limestone, sandstone and slate for elegant look. You can consider porcelain tiles for quality budgetflooring alternative.They are cheaper and bring smooth finish to the kitchen with variety of colours, patterns and designs to choose including the metallic finish. Concrete floor options – Concrete floors are preferred by few owners in recent times. Concrete floors withstand heat well and the greatest advantage is the ease of polishing to retain their new looks. Concrete material can be used at the counter top to blend well with the flooring. Wooden flooring – Wood creates warm feeling. You can choose variety of woods for that perfect feel. Oak can be very durable but expensive. You can choose the cheaper alternatives like bamboo which look great when combined with right shades. It could be one of the best budget kitchen flooring options you can explore. The use of laminates can reduce the cost to the fraction of the actual wooden flooring. The choice of flooring should depend on the décor of the room, budget and maintenance. There are many budget kitchen flooring options for your kitchen, but cost alone can not be the sole criteria since in the long run it would turn out to be more expensive if you go for cheaper options due to maintenance costs. The key is to ensure quality along with keeping the costs to minimum. Laminate Flooring – Laminate provides the richness without being expensive. It mimics any look or feel you desire making it one of the most preferred choice. It is also easy to maintain. Its stain proof quality makes it a perfect choice for kitchen. Vinyl tile – Another quality budget flooring option is vinyl tile. Vinyl tile comes in different colours and patterns that can easily blend with the décor of your kitchen. It is inexpensive since you can even save on the installation costs. It is so easy that you can install it on your own. It also reduces maintenance costs as it has less wear and tear. Carpeting – Carpeting is the least expensive ways to get quality budger flooring to your kitchen, but it may be impractical for your kitchen. Though there are stain resistant carpets available in the market, it is still difficult to maintain and should be considered only if you like the feel under your feet. You may have put up with lot more maintenance work with carpet flooring option. Cork tiles – Cork tiles are another inexpensive option. Many home owners do not know about this option or think it is not suitable for kitchen. Cork tile flooring is soft, antimicrobial, mold and mildew resistant, and is one of the most environmentally friendly option. If properly sealed, the cork tiles are highly durable and one of the best choice for use in kitchens. Whichever flooring you choose, make sure that quality is not compromised. The quality consciousness ensures the cost is minimised in the long run due to low maintenance costs. Whether you choose vinyl tile, laminate flooring, carpeting, cork tiles, or one of the many other flooring options, choose flooring based on your needs. You can further reduce the cost by exploring discount flooring stores. There are many discount outlet stores that carry different kinds of flooring that come at a great price. This is one of the best ways to save some money and still get a beautiful floor that you will love. 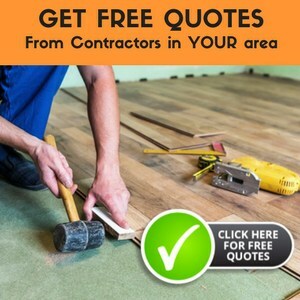 Just search online or in the phone book to see the list of discount flooring stores in your area. It is important to be budget conscious, but quality is more important since low quality flooring can eat away small cost savings that you may have received. Research all thediscount kitchen tile flooring options and make an informed decision.